Imagine breathtaking moments on the Oceanfront Deck or Grand Ocean Terrace. Overlooking 11 beautifully landscaped acres, the resort offers over 23,000 sq. ft. of meeting & event space for 10-800 people including an oceanfront pavilion. 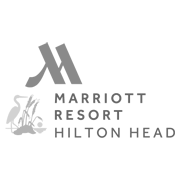 Look forward to more when you book your event at Hilton Head Marriott Resort & Spa. Omni Hilton Head Oceanfront Resort's unique location will entertain and delight your attendees, while our facilities and services will treat them to the utmost in luxury. Nestled on the sandy beachfront amidst fresh air and incredible views, our hotel offers 46,000 sq. ft. of versatile indoor and outdoor spaces, dedicated event planners and caterers, and much more. 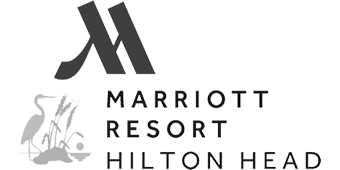 Our recently renovated event venues include a 13,200 sq.ft. Grand Ballroom to 20 meeting rooms of varying size contiguous on one floor. Impress colleagues and friends with indoor or oceanfront settings on our Oceanfront Deck or Grand Ocean Terrace. Take your meeting to the Lowcountry with Sonesta Resort to enjoy Atlantic ocean views, southern cuisine, & white sand beaches just steps from your meeting space. Explore Sonesta's "Let's Get Down to Details" offer to deliver a memorable island experience to your attendees.